Yester Farm Dairies is an on-farm processing and retailing dairy in East Lothian, Scotland. We are a family business operating alongside the family farm at Yester Mains making a full range of artisan dairy products from the milk produced by our own herd of cows - including soft cheeses, cottage cheese, mozzarella, yogurt, soured cream and crème fraiche. 3R Energy is the UK’s leading installer of Northern Power Systems wind turbines as well as certified installers of ETA and Heizomat premium biomass boilers. In addition, we now supply, install and maintain Combined Heat and Power (CHP) Wood Gasification systems through our sister company Holz Energie UK. The Aberdeen-Angus Cattle Society is the regulator of Aberdeen-Angus cattle in the UK, ensuring the provenance, quality and progression of the breed. The Society has been active since 1879 focusing on breeding quality bulls and cows that produce premium quality meat. The meat is now in high demand from retailers, restaurants, butchers and consumers which makes breeding Aberdeen-Angus cattle a commercially smart plan for today’s commercial beef farmers. Academy Vet Centre serves a large area of South West Scotland including the Rhins, Machars and areas of South Ayshire. We are a busy mixed practice treating both companion animals and livestock. We have an exceptional team of ten veterinary surgeons who, together with our nursing and admin team, combine experience and expert knowledge with modern, up-to-date ideas and techniques to bring you a comprehensive, professional and caring service at a fair price. We pride ourselves on providing our own out-of-hours service to our clients, so that your animal will always be seen by one of our vets at our surgery. Academy Veterinary Centre is accredited by the Royal College of Veterinary Surgeons (RCVS) Practice Standards Scheme, which is a voluntary initiative to certify veterinary practices in the UK. This gives you the peace of mind you are registering with a practice where you will get compassionate, respectful, well-informed and competently delivered treatment whether it be for your new kitten or puppy, a faithful old friend or your best coo! Agricar Ltd are a long established agricultural machinery business trading throughout the central belt of Scotland. We have a strong dealer network with depots located in Laurencekirk, Perth, Dundonald, Stirling and Blairgowrie as well as our main headquarters in Forfar. AGRIMART is a monthly advertising magazine mailed to over 7000 farmers and agricultural businesses from North of Scotland to Yorkshire. Algo is a quality Design and Build Company based at the self-built Algo Business Centre in Perth, Scotland. Algo bring a breadth of knowledge and expertise to Scotland's construction industry. Algo cover a wide range of business sectors including Agriculture. Allathan Associates provides farm management and agricultural consultancy services to farmers, landowners and other rural based businesses principally in the North-East of Scotland. Family run oil distribution company since 1946. Delivering Kero, Gas Oil and Derv with cheap prices and fast deliveries. ATV Services Scotland specialise in sale and service of ATV's & Utility Vehicles throughout Scotland and beyond. With operating centres in Hollybush, Ayr (also our head office), Newton Stewart and Lochgilphead we work hard to make sure we are at the forefront of our industry. Balbirnie Home Farms is an agricultural, residential, commercial and sporting estate in Fife. Barnean Farming Company is a family farming business specialising in beef and sheep production as well as offering contracting services. Bell Ogilvy is a firm of Chartered Accountants based in Castle Douglas offering accounts, taxation and business advisory and support services to a wide range of businesses and individuals throughout Dumfries and Galloway and beyond. Beltex leading the way as the premium terminal sire for the commercial lamb market. Blackadders is the law firm that works as a team to provide first class, trusted advice to individuals and businesses in Scotland and further afield from its offices in Aberdeen, Dundee, Edinburgh, Glasgow and Perth. Our commitment to clients extends to wealth management and property, where Blackadders is one of Scotland’s most trusted law firms. From planning your and your family’s affairs and investments, advice on resolving disputes, through to commercial legal advice for every type of business, Blackadders is trusted by thousands of clients every year to help them achieve their goals. Find out more about how we can help you. The Association was formed in 1901 to promote the interests of the breed. The Blackface breed is the most numerous breed in Britain with over 1.7 million ewes. They are one of the hardiest sheep breeds in the country and are the backbone of the Scottish sheep industry. 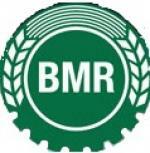 Borders Machinery Ring (BMR), the first Ring to be formed in the UK in February 1987 by 23 farmers and contractors, has the aim of rationalising labour, machinery and input costs. There are now 9 rings in Scotland and 15 in England and Wales. Bruxiehill Wind Energy Ltd produces renewable electricity from a wind turbine located at Ednie, St Fergus. Production started in 2009 and the company is family owned and operated. Buccleuch Estates offer a range of diverse services from sporting services to bio energy and estate agencies. C & D Auction Marts, Livestock Auctioneers and Valuers hold weekly sales from both their Longtown and Dumfries Marts. With a strong team of auctioneers and field staff at Dumfries the company continues to maintain a strong presence in South West Scotland. Caledonian Marts Ltd is a long established livestock and agricultural plant & equipment auctioneer and valuer. With our central and convenient location in the heart of Scotland in Stirling, with access to the main road networks, we attract customers from all over the country, delivering superior outcomes for our sellers and buyers. We have excellent facilities on site to enhance your visit, with three livestock auction rings, a plant & equipment centre, café, farmshop and quality fish and bread vendors, as well as access to specialist insurance brokers and livestock nutrition experts. Our auctioneers have over 90 years of accumulated experience in the sector, providing you with all the expertise you will need. We pride ourselves on treating customers as individuals and value those who choose to do business with us, making the mart a welcoming place to come and creating a very loyal customer base. Farm animal veterinary practice covering Perth & Kinross, Fife and Clackmannanshire. Campbell Dallas LLP is an Independent Chartered Accountants company with 5 offices throughout Scotland. Castleton Farm Shop & Cafe is located in the heart of the Howe O' The Mearns. The farm shop shelves are packed with local produce and in season our own berries. The farm shop showcases local produce in a varied menu, serving breakfast, lunch and snacks. Open 7 days a week. Cheviot Trees are one of Europe’s largest and most experienced producers of cell grown trees. Established for over 25 years, we grow a diverse range of trees, shrubs, conifers and wetland plants from a wide selection of seed sources. Breeding top performance recorded pedigree Beltex since 1998. Also BSL authorised Biomass Fuel supplier. If Craigie’s is about anything, it’s about the pleasure of enjoying good food. So, we’re passionate about the taste of produce that’s really fresh because it’s as seasonal and local to our farm shop located to the west of Edinburgh. Our business is all about people – helping to guide them and their businesses through both the good times and the bad. We are delighted to support RSABI in the great work that they do to assist those in need in the agricultural industry in Scotland. Denis O. Brown are one of the largest and fastest growing specialist, agricultural insurance brokers in Scotland. Established in 1969, we have a wealth of knowledge on the sector. As a truly independent broker, we are able to provide quotations from the key agricultural insurers in the UK. This means our clients benefit from having the correct cover and a fair premium. DF Contracting is a family run business consisting of myself, wife Angeline and daughter Stephanie. We contract farm 1100 acres of grassland with Scone Palace Estate running 1950 ewes and 70 suckler cows. Livestock sales are the heart of our business and our success is measured by the benefits enjoyed by our customers. We offer a range of quality services and facilities designed to support local businesses. Working together with the farming community. Dodd & Co, based in Cumbria and Penrith, travel up and down the country offering their unique accountancy approach of always being forward thinking, planning for the future at the same time assessing today’s situation. Dodd & Co add their personality to all their services, sharing their know-how and honesty. Working in sectors that interest both partners and staff ensures clients’ businesses and the issues they face are fully understood. Continual training and professional development for all staff safeguards Dodd & Co.’s position at the forefront of current thinking. Based at Lanark Auction Market as an independent asset finance broker, providing commercial customers with a range of finance options for all types of plant and machinery. This includes Hire Purchase and Finance Lease facilities for agriculture (& non-agri) customers, plus a range of finance providers for renewables projects. Also available are re-finance facilities providing additional working capital, commercial loans, livestock finance (Beef, Sheep & Dairy), plus fertiliser & feed finance. In operation since 1954 this family farming business is now run by the 3rd generation of Christies. With 2,600 pigs, 1,500 dairy cows and Christmas tree sales the business focus and drive is centred around cost efficient high output farming, future planning and farming for success. Drummond Laurie are one of the largest independent firms of Chartered Accountants in the Central Belt and our aim is to give a first class all-round personal service to our clients. Our basic philosophy is to develop close relationships with our clients, providing them with access to our broad range of technical skills and knowledge combined with client care and attention to detail. Drumpellier & Corsewall Estates is a small diversified rural business taking in agricultural land, residential housing, renewable energy, quality holiday accommodation and commercial property in Lanarkshire and Wigtownshire. Formed in 2010, the egg production division of Duncan Farms has continued to grow. We are now a leader in our field, producing over 250,000 eggs a day. The business has spent over 12 million pounds developing the highest quality, welfare friendly systems. Established in 1977 and based in Brechin, Duncan McIntosh Trailers Ltd is a family run business specialising in Trailers and Towbars. We are the main distributors for Ifor Williams Trailers for the Dundee, Perth and Angus areas. We keep a large range of trailers and spares in stock and our knowledgeable and friendly staff are always on hand to advise on the different models of trailer available. We pride ourselves in our highly experienced staff and fully equipped workshop that allows us to service and repair most models of trailer from stock, thus minimising customer down time. We are also a Witter Towbar and Fitting Centre and specialise in the fitting and wiring of towbars to all types of vehicles. In addition to showcasing all that’s best in livestock from the North East, this annual agricultural show offers many other attractions. Our businesses of progressive mixed farming and contract farming combine a focus on performance with a demand for quality. We carefully integrate our farming practices, balancing livestock and crop husbandry with protection and enrichment of the local environment in order to ensure a long-term, sustainable future in farming. We are a primary producer of high-quality food and drink here in the East of Fife, providing homebred, grass-fed lamb and Aberdeen Angus beef to Marks and Spencer and McDonald’s through our successful partnership with Scotbeef Ltd.
A 3rd generation traditional family farm with sheep and cattle, now operating a farm butcher’s shop with an extensive range of products and a customer website. Highlighting freshness, quality and value, thousands of local people enjoy buying fresh meat from Falleninch Farm on a regular basis. Ordering online is convenient and provides the option to collect from the shop or choose free delivery across Central Scotland (with orders over £50). Our shop is open to the public Monday to Friday 5am to 5pm and Saturdays 9am to 3pm. 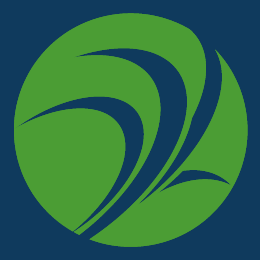 FARMdata has been designing and maintaining financial and management systems for over thirty years. This has given us unrivalled experience in the handling of computer systems for the farming industry. We have developed a very comprehensive range of systems to meet the ever-changing needs of our farming clients. Experienced FARMdata staff backup and support these systems. Provides information for farmers and growers including news, events, features, articles and markets. Field Farm Tours Ltd offer both outbound and inbound farm tours as well as being the official travel partner for many major UK and worldwide shows. FFT offer you the chance to travel with like-minded people who share the same interests. The needs of groups are paramount and they pride themselves on their knowledge and efficiency at putting together a tour that is well received and results in clients returning year after year. 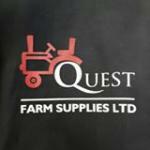 We are an agricultural machinery dealership covering the Fife & Kinross area. Established in 1971 we are the main dealership for New Holland, Kuhn, Schaffer & Vaderstad products. We are committed to our customers with a dedicated team of staff providing quality sales and service. Firm of A&C Bowie - working farm business supporter/member. NFU Mutual’s Castle Douglas branch prides itself on being able to provide a warm, friendly and personal service to all its clients. French Duncan is an independent firm of chartered accountants and business advisors, headquartered in Scotland, working with clients throughout the UK. Our farms and landed estates team act for a wide range of agricultural and diversified rural businesses specialising in advising on all commercial, financial and tax issues including capital taxes, VAT, succession planning and cloud accounting. We have detailed knowledge and understanding of the issues and challenges faced by our clients, whether it’s managing cash flow or passing on the business to the next generation. Our team has expertise in advising on appropriate trading structures to ensure that valuable reliefs are enhanced and liabilities mitigated using planning. Fullwoodhead Dairy Supplies Ltd is the Master DeLaval dealer supplying milking equipment, milk cooling and refrigeration equipment, dairy supplies, dairy service and sales throughout Argyll & Bute, Ayrshire, Dunbartonshire, Fife, Glasgow, Kincardineshire, Lanarkshire, Lothians, Perthshire, Renfrewshire, Stirlingshire. They service and repair all makes of milking equipment, bulk milk tanks, refrigeration units and electrical installations. G M Thomson & Co has been established since 1953 and is a leading independent property consultant in South West Scotland. Offering Land and Estate Agency advice together with professional property consultancy advice on all property related matters. With offices across Dumfries and Galloway, G M Thomson & Co is able to provide clients with an effective and efficient local service for all their property interests or Land and Estate agency requirements. Galbraith Pritchards Chartered Accountants provides an extensive range of business advice, accounting, auditing and taxation services throughout Scotland. Formed in 2010 as an amalgamation of two practices, the four partners have a wealth of experience in all areas of accounting taxation and audit. The primary business is as advisors to owner managed and family businesses and assisting individuals mitigating their tax liabilities. Galbraith Pritchards offers a friendly personal service tailored to specific requirements with access to the appropriate staff or partner at all times. A family owned business since 1872, Galloway & MacLeod became an employee owned company in 2010 serving the farming community with feed, fertiliser, seed, chemicals as well as equine & pet products. A highly-trained sales team with industry assured schemes in place, we also manufacture bespoke products for feeding to pedigree cattle, sheep & horses. Galloway Chillies are an award winning artisan food producer, combining traditional methods of production with innovative social media techniques to grow, connect with customers and other businesses around the world, and encouraging and mentor other local businesses in doing the same. Passionate about seasonal and local produce, Galloway Chillies has an ingredient sourcing policy with a strong emphasis on seasonal and locally grown. Galloway Farmhouse Cheese has been producing award winning cheeses made from the milk from their own flock of pure and cross bred Friesland Sheep for more than 20 years. The farmhouse shop “From Ewe to You” in Dumfries and Galloway stocks the full range of Galloway Farnhouse Cheese’s Cairnsmore range. Geoghegans is an Edinburgh based firm of chartered accountants offering a wide range of services. Remaining independent since 1918, today they are one of Scotland’s major chartered accountancy firms. Third generation family business based in West Fife supplying hose repairs, welding, profile cutting, ram repairs, bucket repairs, Millers Oils, plough metal & agricultural machinery parts from Granit, Kramp & Sparex. Graham’s The Family Dairy, which was established over 70 years ago, produces an award winning home-grown range of the highest quality food and drink. Their current range includes Graham’s Gold, Graham’s Organic, milk, cheese, cream, butter, spreadable butter, ice-cream in six flavours, cottage cheese, quark, sour cream, yogurt and Protein 22; which is all made using the finest Scottish ingredients from 100 farming partners. From their family farm in the heart of Scotland, Graham’s has grown through three generations and is now Scotland’s largest independent dairy since setting up in Bridge of Allan in 1939. Today more than half of Scotland’s households buy Graham’s products and they are now proudly Scotland’s No.1 Dairy and Food Brand. Grampian Growers Ltd formed in 1970 is a farmer’s cooperative based near Montrose and is involved in the production and marketing of seed potatoes, daffodil bulbs and daffodil flowers. Currently there are 13 bulb growers and 25 potato growers situated in Perthshire, Angus and Aberdeenshire. A high percentage of all three products are exported to USA, Europe, North Africa and the Middle East. Hamilton Brothers are lrading suppliers of Agricultural, Groundcare, Construction, Garden Power Machinery and Animal Helath Products. Scottish full service law firm with solicitors based in Glasgow, Edinburgh, Inverness and Thurso. Having lived in Wigtownshire most of her life Helen Ryman has been inspired by her shepherding to draw and paint. Her creativeness comes from the places and the people of South West Scotland. Using oils, Helen’s paintings of Belted Galloway Cows, native to her region in Scotland, are particularly popular. As a firm, we are committed to providing services dedicated to the needs of our clients. Our in-house expertise ranges from rural valuations to compensation & compulsory purchase, and from planning & development to radio masts & energy projects. To find out how Hendersons Chartered Surveyors can assist you, please use our quick link pages to view our departments and the work we carry out in each of these areas. Based in Kilmarnock, Henry Brown & Co provide a complete accountancy service for clients the length and breadth of the UK. Established in 1931, the business has long established links to the farming community around Scotland giving unrivalled insight into the variety of challenges faced by farmers on a daily basis. Henry Brown & Co understands that no two farms are alike and that few sectors of the economy have the number of complex accounting and taxation issues as farming. Farm business based in Harray, Orkney. House of Bluebell is a contemporary Scottish tailoring business that offers 100% wool suits, jackets, waistcoats trousers and skirts. All of our garments are made on our farm in Fife, Scotland. We utilise wool as our base fabric to promote the use of natural, sustainable fabrics. We use wool to enhance wellbeing and comfort in our clothing. We have designed our plaid for Comfort, Style and Luxury. Situated on the east coast of Scotland, it is a 400ha farm growing a number of crops such as potatoes, strawberries, broccoli and cereals. We are a mixed livestock farm based in Aberfeldy. ICARIS Ltd was established in 2001. We have only one aim and vision and that is to provide computerised systems, including both hardware and software for UK not-for-profit organisations. Large enough to cope and small enough to care here at ICARIS we provide quality and reliable software solutions with first class support services which is proved to give you a good return on your investment - that is why organisations across the UK rely on ICARIS. J & C Wilson are a family run arable farming business in Fife, growing cereals, veg and operate our own on farm energy plant. A mixed farm in Coldstream, Scottish Borders. Jack Lamb (Agricultural Merchant) Ltd sells a range of agricultural products including Animal Feed, Fertiliser, Grass Seed, Chemicals, Lime, Straw and Hay throughout the South West and West Coast of Scotland. Clark Thomson Insurance Brokers is the largest independent insurance broker in Scotland and, with nine offices throughout Scotland. we’re never far away should you wish to talk to someone face to face. We specialise in arranging agricultural insurance using a combination of traditional personal service and our specialist expertise.Whether you’re involved in livestock rearing, dairy or poultry, arable crops or cereals, or if you’re an agricultural contractor, we understand your insurance needs and can help you manage your risks effectively, and cover your business for the most specific eventualities. We are a Haulage & Warehousing business based in Grangemouth operating 130 vehicles and 80,000sq feet warehousing. James Smith Fencing has been serving Southern Scotland since 1950 and offers comprehensive fencing supplies to agricultural, equestrian and domestic customers nationwide. We are a family run business based in North Fife. We have a mixed farming business with Cattle and Sheep on the livestock side and we grow potatoes and cereals as arable enterprises. Keegan & Pennykid (Insurance Brokers) Ltd, of Edinburgh is dedicated to providing its clients with professional and independent insurance and financial services advice. Established in the early 1970s, Lowmalzie Holsteins is a high yielding pedigree herd built on sound cow families. With considerable show success over the years, the McKay family continue to invest in expanding their farming business. Situated in the fertile countryside of East Lothian, Luffness Mains is an arable farming business, growing fresh potatoes, vegetables, cereals and oilseeds whilst protecting the environment within stewardship schemes. Lycetts is an insurance broker who is able to offer specialist insurance to those who live and work in the countryside. They advise farm and estate owners on the insurance issues related to increasingly diverse practices, as well as mainstream farming. Providing first-class farm insurance and a high-quality client service requires a depth of knowledge and a true appreciation of the industry issues. With more than 40 years’ experience in the field of farming and farm-relates businesses and properties, Lycetts has well-established contacts with many of the UK’s leading farm insurers. This gives us access to a number of markets, enabling us to deliver comprehensive and wide-ranging levels of cover at competitive rates. A family run business, M J Harrison Supplies was established in 1981 and supplies primarily precast concrete products and drainage materials to the Agricultural, Construction and Industrial markets. With a positive reputation for customer service and quality, M J Harrison Supplies have the simple aim of having satisfied customers who come back time after time. Macphie is the UK’s leading, independent ingredients manufacturer, which has been producing premium quality food ingredients and solutions since 1928. An international food business headquartered in Scotland, its product range is used by bakers, chefs and food manufacturers across almost every industry worldwide. McCaskie Agriculture has served the UK agricultural livestock industry for nearly 60 years. Providing quality products for all livestock farm enterprises from animal health, hygiene, feed and nutritional supplements to complete dairy installations and project planning, all backed up by our team of qualified area account managers and who support all our clients with sound product and industry knowledge. The McGregor family has farmed successfully in the Scottish Borders and North Northumberland since 1925. In addition to its own farming enterprises McGregor farms now manages a substantial acreage under various contractual agreements. Incheoch is an upland livestock farm where the McGowan family strive to breed functional, efficient and robust breeding stock. Texel and Lleyn rams are offered at the on-farm Working Genes ram sale, and Simmental and Luing bulls sold privately and at auction. Montpelier Chartered Accountants are dedicated to providing accountancy services to medium to large owned and owner managed businesses. Montpelier has knowledge and experience across many sectors including charities, creative & digital, farming & agriculture (agrifood), food & drink and holiday homes & parks. The firm strives to develop a strong working relationship with businesses to ensure their accountants are more than a source of specialist knowledge and experience but are an extension of a business. Murray Farmcare, established in 1975, is a leading UK farm care supplier. Offering a range of essential medicines for farming livestock including pigs, poultry and horses, Murray Farmcare is registered with General Pharmaceutical Council and is a member of Royal Pharmaceutical Society. Based in Dumfries, Murray Farmcare serve farmers all across the UK with it's delivery service. Blackadder Mains is a family run business near Duns in the Scottish Borders . The farm produces wheat , malting barley and OSR. We also specialise in breeding pedigree Texels and beltex sheep. We hold franchises for John Deere, Kverneland, Opico, Bailey Trailers, Bunning, Spearhead and Standen Pearson. Situated in the heart of Buchan, Aberdeenshire our full two day show has one of the largest horse shows in the area, top quality livestock competing for many prizes in their classes, industrial classes, food and trade stands and much much more. The branch is committed to providing you with peace of mind through a first class service. Niall and Tom Bowser are the sole distributors of Rappa Aluminium Mobile Sheep Yards in Sotland and the North East of England. We also supply a range of innovative livestock equipment to make farmers' lives easier and more efficient. Norvite Animal Nutrition Company Limited is headquartered at Insch, in the heart of Aberdeenshire. 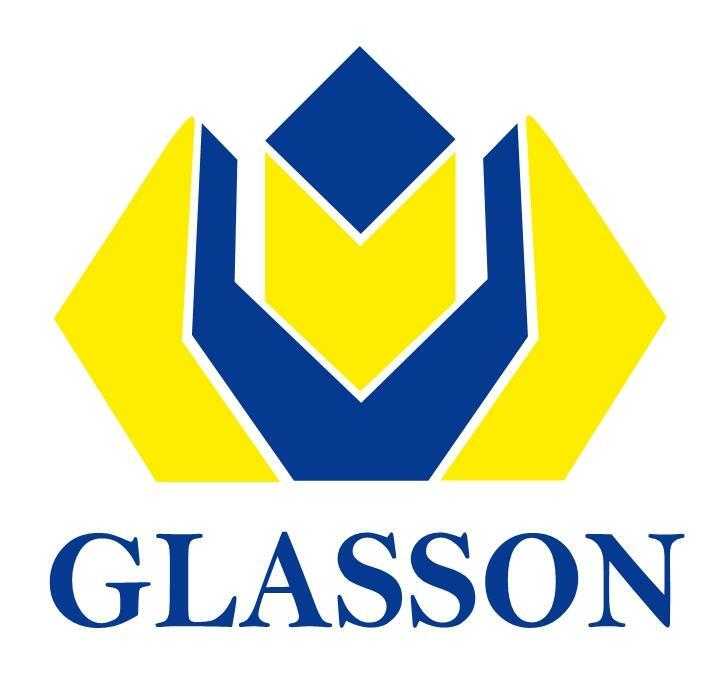 The company employs over 40 staff and has three manufacturing sites – a mineral plant at Insch (it is one of only two mineral manufacturers in Scotland, which enables it to ensure a consistently high quality of output) and two blending plants, one in Ayrshire and the other at Oldmeldrum. Orkney's biggest agricultural event held on the second Saturday of August every year promoting the finest Orkney produce and displaying the best of Orkney's stock. The Story of Scotland's Agricultural Revolution. This 19th C "model farm" will create heritage, community and business amenities. Pentland Livestock Limited and Pentland Auctions Limited are two businesses run side by side by husband and wife team, Graham and Fiona Burke, near Edzell in Angus, Tayside. They specialise in the direct farm to farm and farm to abbatoir sales of Livestock and other Commodities. Also with over 20 years experience as a leading auctioneer, Graham conducts many farm and other dispersal/retiral auctions and at their own facilities at Hillhead Business Park in Kirriemuir, conduct monthly Collective Auction sales of Plant, Vehicles, Tractors, Implements, Small Tools, Antiques, Collectables and Sundries, with most sales averaging 1000 lots! Powerwasher Services Ltd is a family run business, established for over 35 years. We specialise in Sales, Hire, Service and Repair of Power Washers, Scrubber Driers, Sweepers, Generators, Heaters, Compressors, Vacuums and a wide range of Janitorial Supplies, Cleaning Products and Accessories. Providing excellent knowledge and quality products at competitive prices. R A Clement & Co, based in Kilmarnock is well known to the local farming community having developed this sector as an area of specialist knowledge. With solid experience in supporting farming businesses, R A Clement & Co offer outstanding accountancy services to small & medium sized businesses in Ayrshire and beyond. Client centred accountancy is at the heart of R A Clement & Co as they firmly believe in the importance of understanding their clients’ needs. The Company has been in existence since 1985 following a Management buy out of the three branches at Elgin, Maud & Turriff. Since that time further branches have been opened in Aberdeen and Dingwall. Ravenhill’s philosophy is to provide the best possible back up in Parts and Service. All our branches have full parts and service facilities which from April to October operate extended opening hours as well as an emergency call out service. This is supported by our commitment to continuous manufacturer training for our technicians so that they have the specialist knowledge required for today’s modern machinery. Ravenhill Financial Services has five experienced dedicated advisors who can offer flexible financial solutions to suit our customers. We offer all types of finance including Hire Purchase, Lease, Contract Hire and Loans. Reekie Ltd are leading suppliers of Agricultural, Groundcare and Construction machinery and equipment. As part of the Hamilton Ross Group, comprised of Reekie Ltd, Hamilton Brothers and Ross of Lanark, they can now offer the full product and service package across the Central Belt of Scotland. With over 65 years’ experience in sales, servicing, parts and hire of new and second hand machinery, Reekie Ltd strives to help businesses meet modern demands with the best machinery on the market and a responsive resource of engineers across Scotland. RG Contracting is a family firm based in South West Scotland and offers a wide range of competitive and reliable contract services to farmers and landowners throughout Dumfries & Galloway and South Ayrshire. A “can do” attitude is backed by many years’ experience and a solid reputation for reliability and industry knowledge. Established for over 50 years, RKG Land Rovers are specialists in sales of new and used Landrover Defenders and Toyota Hilux Pick-ups. The aim of the business is to see their customers drive off in a vehicle to suit their requirements without blowing their budget. A family owned business based in Lockerbie, South West Scotland, Robinsons supply a comprehensive manufacturing and construction solution. Offering a full design and build based solution for agricultural buildings, Robinsons focus on creating a quality service with an emphasis on customer care and high standards of workmanship. Specialising in livestock identification products for over 20 years, ROXAN ID have introduced farmers to a new and innovative approach to EID Tagging, Reading and Data Management. ROXAN are responsible for some of the most time saving and quality farming products on the market including TagFaster the automatic sheep tagging system with strips of 10 double tags, plus our high visibility Rubba Tag range, or visual and EID Cattle Tags and Applicators. Scene & Herd Ltd. is a public relations and marketing consultancy, specialising in rural, food and drink and horticultural businesses throughout Scotland. Scot Heat & Power wanted to support a charity that would be of interest and relevance to our business. Our company works in partnership with farmers, landowners, communities delivering reliable, cost effective energy solutions. Scot Heat & Power is a renowned Scottish based company covering the UK. A diversified organisation with interests in Biomass Boilers / CHP from 50 kwh to 6 MW, supplying biomass wood chip / pellets. The company has interests in forestry, forest harvesting and waste wood processing. Waste heat to free Electricity. The company recognises the stoic support RSABI provides to those in the agricultural community and are proud to support this organisation in it’s work. Scotchip Ltd was established in 2009 as a family run supplier of processed and packed specially selected potatoes. Formed in 1979, Scotmin Nutrition began as a family business supplying nutritional supplements to local farmers, growing into one of the largest supplement businesses in the UK. Our nutritional experts have over 100 years combined experience in dairy, beef and sheep nutrition to help ensure that our customers achieve maximum performance at minimum cost. We can do everything from analysing your silage to developing a tailor-made ration for your animals. As part of our company ethos we strive to reduce our carbon footprint through efficient logistics and by shipping over 57% of our bulk mineral materials via the Port of Ayr, a mere two kilometres from our factory. Our product range includes mineral supplements, molassed mineral tubs, protein concentrates, forage additives and specialised products. In June 2010 Scotmin joined Carr's plc. Our combined knowledge and expertise will ensure that our customers continue to receive top quality products, produced in Scotland. Scottish Agronomy is the leading organisation in Scotland devoted to the provision of unbiased arable advice to farmers. The Hub is a free, farmer information service which offers Scotland’s dairy farmers a one stop shop for information on any subject or requirement. The process is very simple, if you have a question on any dairy related topic, get in touch and we will help you get sign posted to the answer. Farmers can place their question to the Hub via our website (www.scottishdairyhub.org.uk) or by email info@scottishdairyhub.org.uk. We can be contacted by phone Tel: 03454 755110 or Mob: 07500 766083. The Scottish Gamekeepers Association (SGA) represents and unites Scotland’s gamekeepers, stalkers, ghillies, wildlife managers and rangers. Scottish Land & Estates is the unified voice that represents all those who own land and rural businesses in Scotland. The Scottish National Fat Stock Club was founded to promote the production of Scottish Primestock and to support the Scottish agricultural industry. SELLARS is a privately owned company selling agricultural machinery, Parts and Service. Our area of operations extends from the North of Scotland to the South of the Firth of Forth and we have 6 branches to serve our growing customer base in this area. Our main franchises are CLAAS and LEMKEN. We are also dealers for several other leading agricultural machinery manufacturers. Please check our supplier page for more details. If you have any questions please do not hesitate to contact us. Servitir is a business providing transport services for hauliers doing both UK and international work. When our customers are transporting livestock to the continent or bringing wind turbines across the channel, Servitir provides fuel, toll, tax and CMR services ensuring our customers reach their destinations on time. 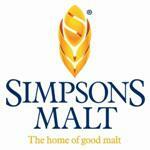 Simpsons Malt is a family-owned independent maltster providing premium malt to the brewing, distilling and food industries worldwide from malting barley procured by their agricultural and trading arms, McCreath Simpson & Prentice and John Guthrie. SoilEssentials Ltd are leading precision farming specialists providing integrated solutions through the seasons. Nestled in the hills at the foot of the Angus Glens they exist where agronomy, software development and engineering collide. Operating three departments including Agronomy - with soil sampling and area measuring - Machine Control, as Trimble authorised dealers for Northern UK, and EssentialsNet (their own RTK correction service) and Software Development. The company are presently partnered in several R&D projects with the European Space Agency, Cambridge University, Innovate UK and The James Hutton Institute allowing them to capitalise on opportunities to further push the boundaries. South Powrie Farm is a principally arable farm on the Dundee/Angus border. We are a family business and also rear pigs and free range KellyBronze turkeys, the latter of which we sell direct from the farm gate at Christmas time. Our KellyBronze turkeys are grown to full maturity, game hung and dry plucked which all combine to give them very best flavour and quick cooking times. Main forte is event PA/Audio, from small meetings - up to festival size concerts, small concert fundraisers etc with the emphasis on top quality & clarity. Some of the events we already cover - Perth & Kinross shows, Agriscot, Winter fair, Gardening Scotland Ingliston, Bo'ness Fair Day, Linlithgow Marches day, Link Housing, SRPS steam railway. Also we are supplier to T in Park for 10 years - Now Transmit, various Hydro events. British Airways, Red Bull, BUSC, Corn Exchange Edinburgh. We also supply just about anything technical required for events from Sound, Lighting, Site Power, Staging, management, crew, entertainment, DJ's. Stevie Rolfe Cattle Services (SRCS) provides Pregnancy Scanning (DEFRA licensed), Freeze Branding, Synchronised A.I, Concrete Grooving and product sales alongside Liquid Nitrogen DIY A.I flask top up. No job too big or small as SRCS assists the large scale farmer, small breeder or owner of just one cow. Established in 1988, Stewart Trailers is owned and managed by James and Mandy Stewart, and is based near Inverurie in Aberdeenshire, Scotland. We take pride in our products and pay great attention to detail in our designs. We manufacture a range of trailers and livestock floats and all of our products are designed by James, and built to order to our customers’ specifications by our team of highly skilled staff. Stirling Potatoes is the potato marketing arm of a growing family farming business, started in 1958, by Alex Stirling at Drumbertnot Farm near Montrose, Scotland. Stirling Potatoes brings you the highest quality potato and vegetable products, packed to your specification, direct from the farm. Set in the heart of the beautiful Perthshire countryside Strathallan Castle is an impressive early 19th century baronial castle within 1000 acres of picturesque policies and woodland. Centrally located only an hour from Edinburgh & Glasgow Strathallan is the ideal venue for events and benefits from its own private airstrip available to clients for helicopters and light aircraft. Whether you are planning a wedding, special dinner party, corporate hospitality or a product launch, Strathallan provides exclusivity with an impressive location and the services of a dedicated team focused on ensuring your event is perfect from start to finish. Strutt & Parker are UK wide Estate agents and property consultants, working as true partners with their clients in realising the full value of their land. Offices in Scotland are Banchory, Edinburgh, Inverness and Perth. Tarff Valley is an Agricultural Merchant supplying farmers across Southern Scotland and Northern England with a wide range of quality products. As a farmer owned cooperative, which has been in business since 1903, we provide our customers with all their farming needs. Our product range includes animal feed, fertiliser, animal health and equipment, fencing materials, drainage supplies, agronomy, liquid and moist feeds, clothing and footwear and much more. We also offer a number of services such as grain testing, soil sampling and ration mixes to name but a few. For more information, visit our website www.tarffvalley.co.uk. Tayforth Machinery Ring is a non profit making member owned Co-Operative, encouraging efficient use of agricultural equipment and labour as well as collectively sourcing farm inputs at a discount for its Members. Members are drawn from Fife, Tayside and Central Scotland. The SCTA promotes the interests of the grain trade. Thomson Cooper is an independent practice offering a full range of accountancy and business advisory services. There are offices in Dunfermline and Edinburgh. Our experienced Land and Rural Business team have between them over 250 years of experience in delivering bespoke legal advice to a wide variety of clients. Whether you are a farmer or landowner or you run a business in the rural sector, we can provide solutions to overcome whatever you are faced with. We can guide you through the traditional areas relating to the rural sector whilst also having detailed knowledge of newer developments like diversification and renewables. We have an in-depth knowledge of all the issues affecting the rural sector so that we can make sure you are always one step ahead. Threave Rural provides a “one stop shop” for all rural matters. Completely independent, Threave Rural has an excellent working relationship with other professional bodies such as solicitors, accountants, planners etc. The mission at Threave Rural is to provide comprehensive, honest, informed and friendly service which is completely client focused. At Towns & Carnie Ltd, we're more than just a pet store or a supplier of animal feeds; we have over 30 years' experience in making sure your animals get the best and most suitable products and we offer a wealth of information in animal care. Two Rivers Veterinary Practice provides comprehensive veterinary services in and around Biggar in South Lanarkshire and Peebles in the Scottish Borders. We are a three vet mixed practice providing treatment for all animals including dogs, cats, horses, farm animals, rabbits and other small animals. We have an excellent range of medical and surgical facilities, with a 24 hour emergency service. 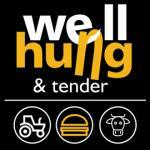 Well Hung and Tender is a family run farm and event catering company. Raising a small herd of Aberdeen Angus cows, we are passionate about bringing high quality Scottish beef to events across the UK. Ean & Joyce Stewart have been running West Barr Holiday Park since 2007. We offer the ability to own your own holiday home in a peaceful location on the shores of Luce Bay and also have 2 holiday cottage for rental.